Below I am continuing, with options on installing Prometheus and Grafana. This is Part 2. in Part 1 I am describing what it takes to install Helm, Tiller as well as SSL/TLS configuration. It has been a while, I didn’t had a chance to complete the Prometheus & Grafana installation steps. lets first upgrade helm to v2.11(In my original testing, v2.1.1 had bugs which are now supposed to be fixed). Next, lets upgrade the repo. helm repo update Hang tight while we grab the latest from your chart repositories... ...Skip local chart repository ...Successfully got an update from the "stable" chart repository Update Complete. Happy Helming! Lets try to look on the pkg list. helm init --upgrade $HELM_HOME has been configured at /root/.helm. Tiller (the Helm server-side component) has been upgraded to the current version. Happy Helming! 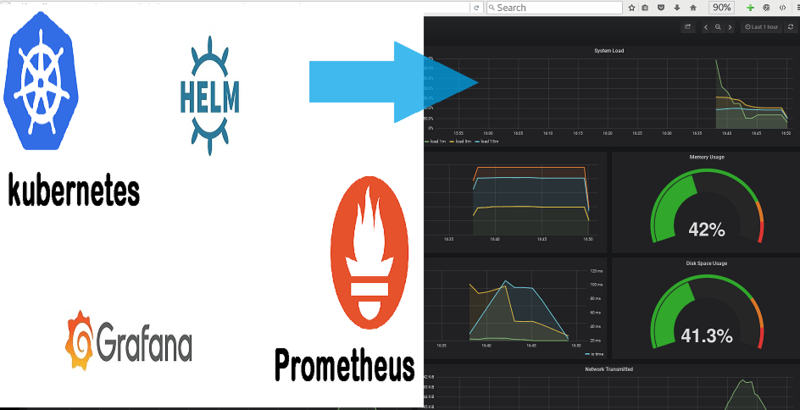 There are many ways you can install Prometheus and Grafana. Below I am focusing on two methods. Simple easy installation by using the CoreOS Operator helm workflow. 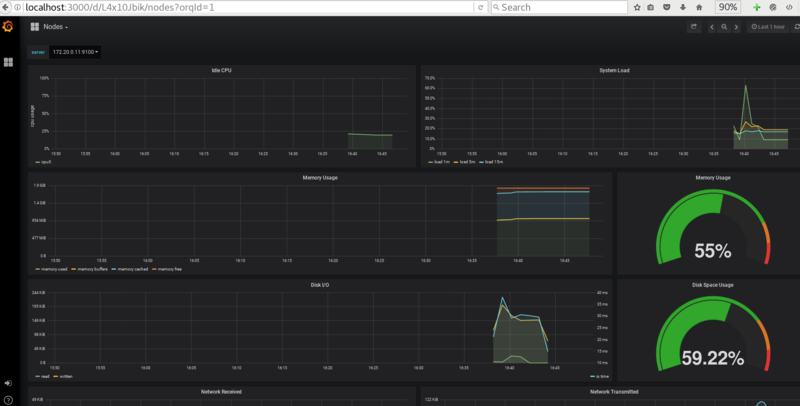 Semi simple, a bit more involved, manual separate stock prometheus and grafana installation. First we have to add the CoreOS repo. # You can verify the content i.e prometheus-operator by running the below, the results shuld be something like the below..
Ok, lets move on to the installation. The below instillation will install the CoreOS prometheus operator. Next, lets install the stack. To keep things simple, you can just run the below, meaning no persistent volumes and no ingress configuration (good for a lab, etc). You can run something like the below. Note: The below configuration is using an ingress controller, as well as setting persistent volumes, more on this below in the manual configuration (creating persistent volumes). After a little while, you shuld be up and running, you can check by running the below. Now all you got a do is forward you port. # Note: prometheus-kube-prometheus-0 is your prometheus pod_name. # Access like the below in your browser. While at this, you can also install heapster and the kubernetes dashboard like the below. Of course all of them can be port-forward or use an ingress controller. Below is a confirmation of the installation. # Verify all is removed. 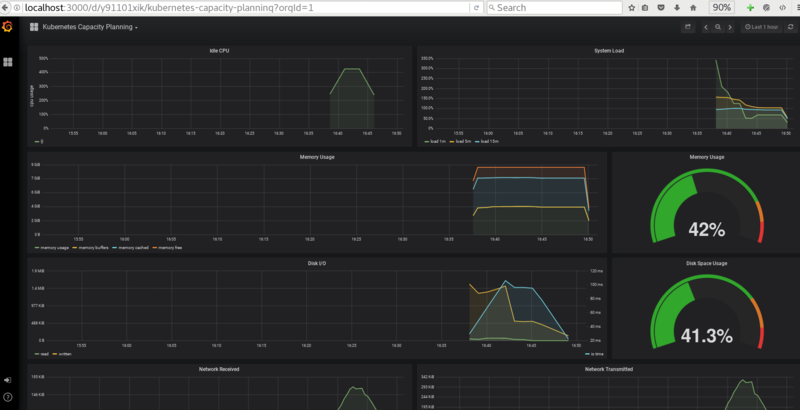 Below are a few screen shots of the included CoreOS Dashboards. By going this route we have to pre-stage a persistent volume. So lets get that out of the way first. You shuld use a NAS mount or something like CEPH, DRDB, etc..
For demonstration purpose this is good enough, lets create a few directory’s on each node. Next, lets create the persistent volume, create the below file. Then run the below to create the pv volume. To verify run the below. Note: This volumes can only be used once, after one use you have to delete and re-create the volume. We are now ready to move to the next step. Now, lets first install the stable/prometheus, you do so by running the below. Verify that all services are up, before continuing to grafana. Note: You can access prometheus by forwarding the port 9090, something like the below. To see how the prometheus server allocated the pv volumes , run the below. Lets fetch the stable/grafana, we do so, so we can modify the installation options while still using/installing the stable/grafana from the repo. Now lets inspect the grafana/values.yaml, and make some modifications. Lets modify the persistence: section, I used something like the blow. Note: Without these change, all metrics will be lost once the pod reboots. To set a grafana admin user and password, make sure to set something like the below. To get the local kubernetes prometheus cluster url, run something like the below (this is needed in the next section). # In my case output looks like the below. Lets also modify the datasources: section, I used something like the blow. Note: Without the below change, no datasources will be configured in Grafana once it comes up. To add the grafana kubernetes dashboards plugins, also modify the plugins: section, I used something like the blow. We are now ready to install the grafana chart, you do so by running the below. You might also like – Other related articles to Docker and Kubernetes / micro-service.